“Uzbekistan Airways” announced the launch of a new direction. A regular flight to Spain (Tashkent-Barcelona-Tashkent) will be opened soon. The first flight is scheduled for May 24, 2018. This flight will be carried out every Thursday on comfortable Boeing. Flight HY-259. Departure from Tashkent – at 03:10, arrival in Barcelona – at 08:05. Flight HY-260. Departure from Barcelona – at 09:45, arrival in Tashkent – at 19:50. 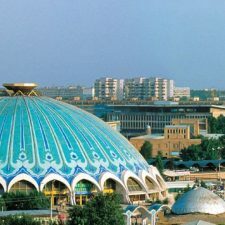 From the beginning of 2018 tickets for international destinations of the National Air Company “Uzbekiston Havo Yullari” became possible to be purchased also on the official website.